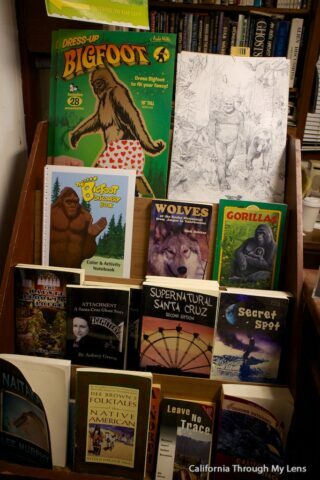 The Bigfoot Discovery Museum, located at the perfect location in the Redwoods above Santa Cruz, is both great for the questioners and the believers alike. 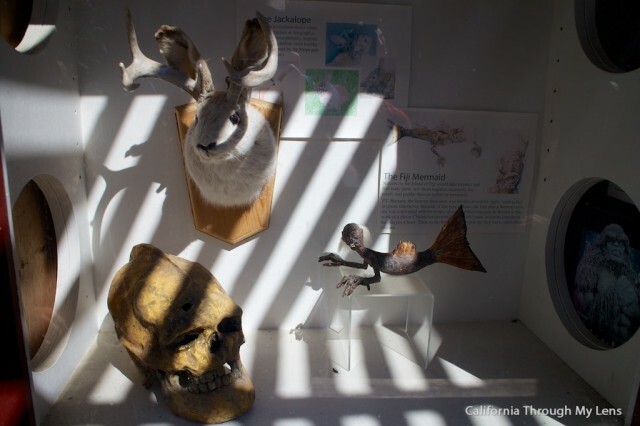 This small museum is staffed by a friendly man who will gladly provide you with all you need to believe in the fabled creature, why not give him a chance. 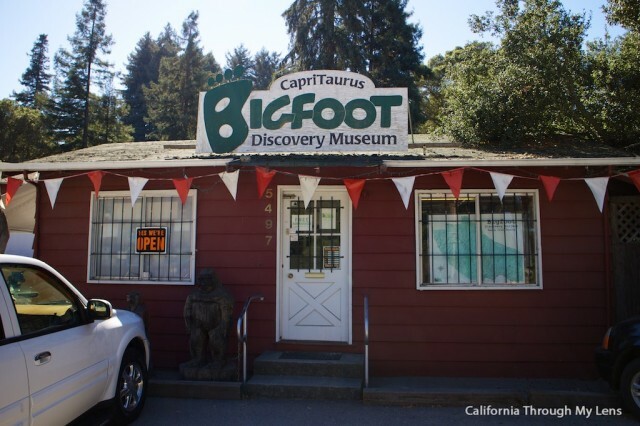 While just the drive from downtown Santa Cruz to this museum is worth it on its own the small two room museum is a fun place to visit that both believes in Bigfoot but also doesn’t take it fully serious. 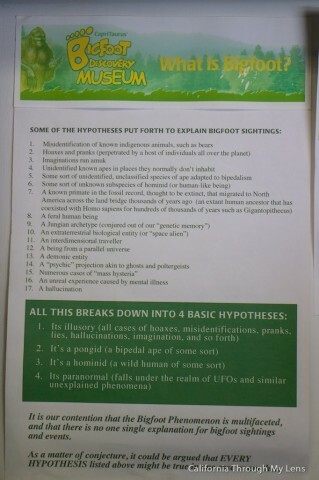 You will see this right away with a sign that tells you the 14 possible things Bigfoot could be. 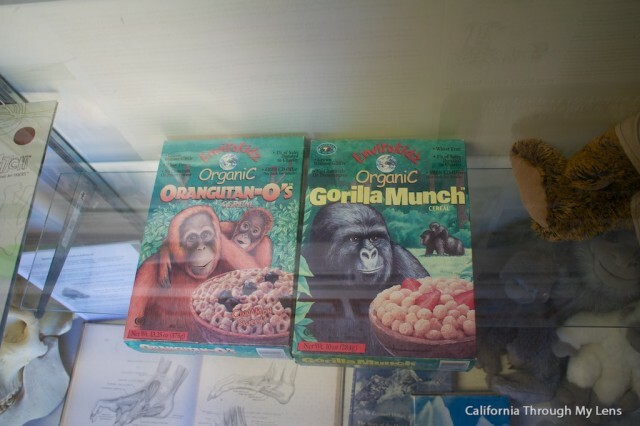 There is a lot of random memorabilia in this room as well with castes of a Bigfoot track that you can purchase and orangutans cereal. It gets real though in the second room. 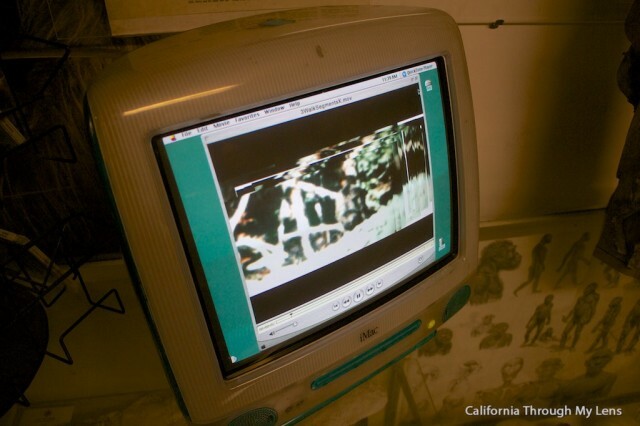 This room has three iMac computers allaying looping videos of the different Bigfoot footage they have. 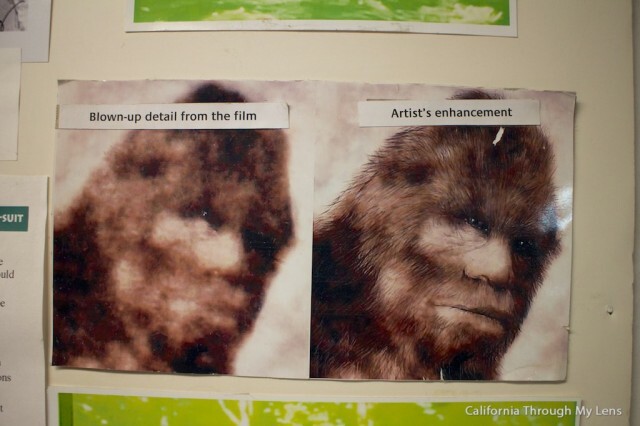 One entire wall takes apart the main video that I am sure you have seen of Bigfoot walking in the forrest. It even has blown up screenshots and other information about him. In this area there are also a lot of different things you can purchase. 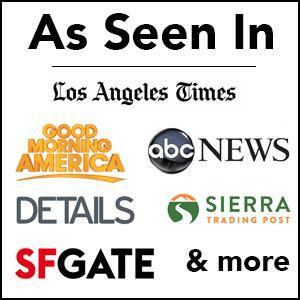 Everything from shirts and luggage tags to pins and a posters. 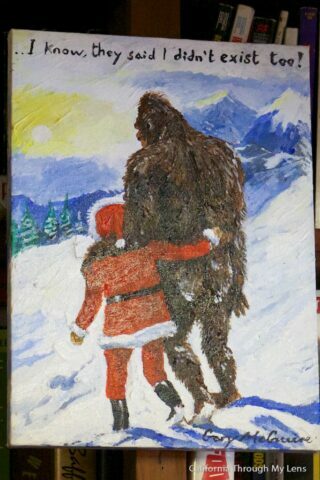 I took home a Bigfoot hugging a tree poster because… why not?? 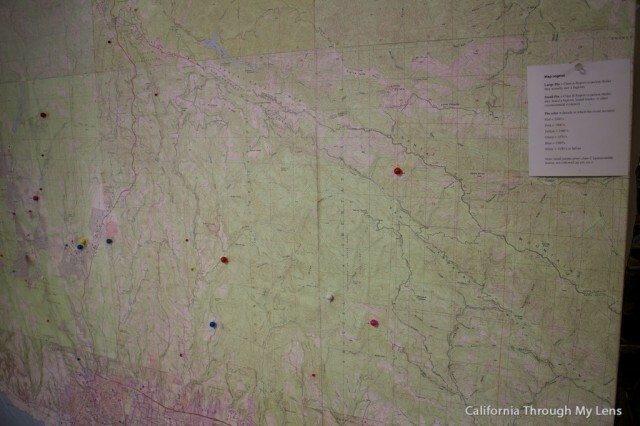 In the corner there is a map of all the different sightings reported by people and when I was there a very adamant couple was providing their first hand story to the worker who was very excited to take it all in. 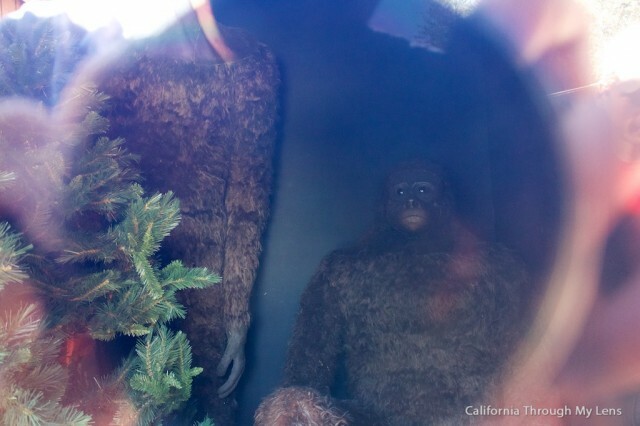 Lastly, outside there is a diorama that features two bigfoots in their natural habitat and shows all of the other mythical creatures around the world. By far my favorite thing to see here was this poster though of Bigfoot and Santa, it was literally amazing. 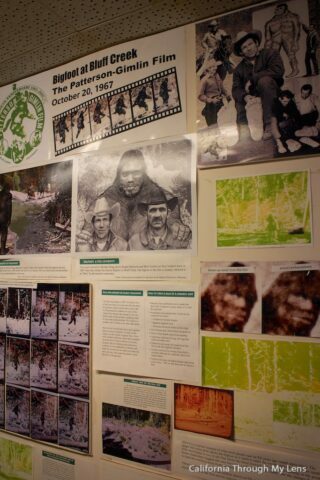 I don’t know about you but I thought the Bigfoot Discovery Museum was pretty great. 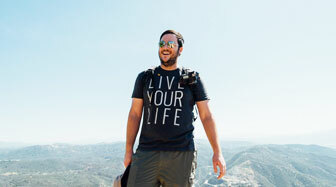 There isn’t a lot to see really but I’m sure there will be something you enjoy seeing. Let me know in the comments if you have been or if you have seen bigfoot yourself.